"The finest act of its kind in the world." "This act is so good! Just breathtaking! Never seen better." 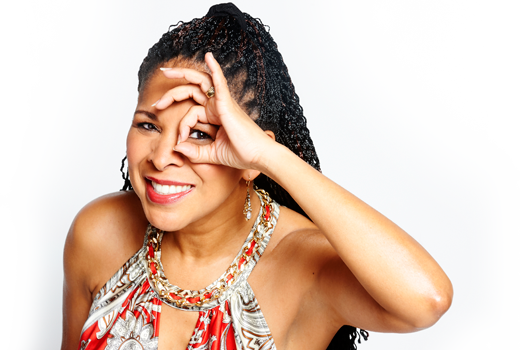 See why FOX Television called The Evasons "The most amazing mind reading act you will ever see!" 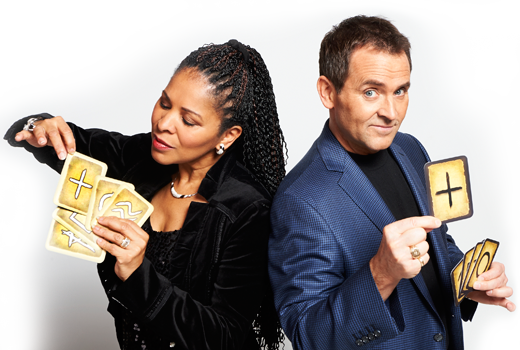 Surprise your guests with celebrity mind reading duo - The Evasons! Experience strong emotional moments, laughter, amazement, and a real sense of connection. You and your guests won’t just sit back and watch the show. In no time, everyone will be eagerly participating in interactive mind-blowing feats of Second Sight and telepathy. And don't be surprised if you and those around you react in ways you've never imagined! Tessa’s spot-on powers of perception are so captivating, you might gasp with surprise and unleash a spooked-out shriek! Whether performing for an intimate gathering or a crowd of hundreds, these psychic entertainers have the kind of universal appeal that'll draw everyone in for an extraordinary encounter filled with suspense and wonderment. The Evasons stage a clean show where nothing is embarrassing or offensive. Even the skeptics will be left speechless after seeing them in action. No plants or hidden communication devices are used and they'll offer you a $100,000 reward if you can prove otherwise! Everyone will feel as though they've been part of something truly special! 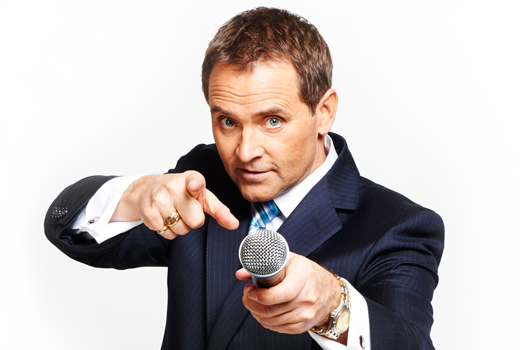 The mind reading duo has performed in over 35 countries across the globe and made numerous TV appearances on major networks like NBC, FOX, CBS, CW Network, Discovery Channel and Netflix. They've performed at the World Famous Magic Castle in Hollywood and at the Great American Comedy Festival in the Johnny Carson Theater. The Psychic Entertainers Association gave them its most prestigious award for distinguished professionalism. They were also the first recipients of "The Mentalism Award" from the Milbourne Christopher Foundation and the only mentalists ever to receive the "SARMOTI Award" which legendary magicians Siegfried and Roy present to their favorite act in Las Vegas. Event planners love this accomplished mentalist team just as much as audiences do. Ease of booking, prompt follow-up calls and access to extensive promotional materials are just some of the reasons why Fortune 500 event planners, campus activities directors and entertainment producers rave about how friendly and professional The Evasons are, both on and off-stage. They know all the ins and outs of the industry and are committed to the exact same thing you are - giving your audience the experience of a lifetime. If you're craving a truly unique experience that'll psych everyone out, this husband and wife mind reading sensation is it. With bases near Toronto Canada and Washington, DC, Jeff & Tessa will travel anywhere in North America or around the globe to perform at your next corporate event, sales conference, convention, customer appreciation event, banquet, holiday party, gala, country club, private party, campus event, fair or festival, casino showroom or public theatre show. For more information about scheduling an appearance for your group, contact The Evasons today!